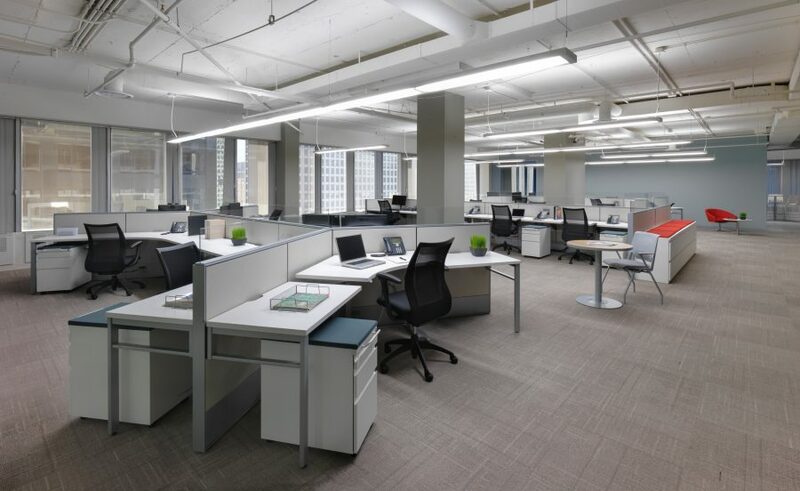 This Pharmaceutical Supply Company's new Chicago office space houses the company's expanded e-Commerce and Information Services divisions. As a result of their new space, they were able to hire and house 35-40 new employees. This Pharmaceutical Supply Company sought to create a collaborative and energetic environment. 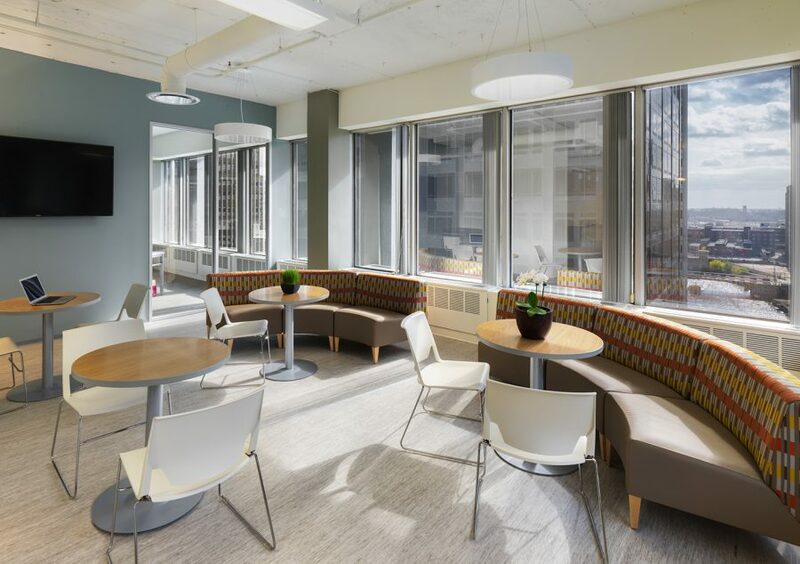 In need of a fresh and dynamic space to attract and inspire their expanding team, WHA designed a branded space that has helped deliver a new paradigm for workplace collaboration. The workspace was planned with a sense of visual connectedness among employees. 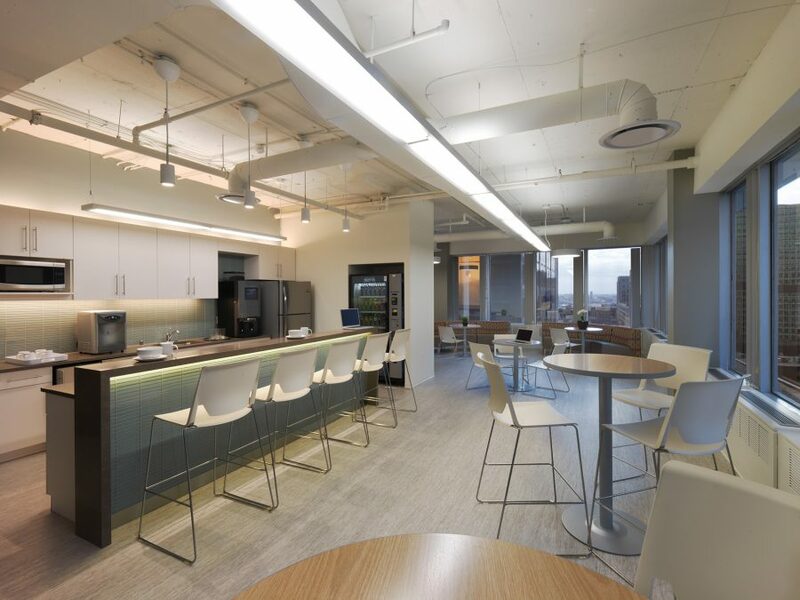 The breakroom, acting as a pivot to the open office pods, encourages the team to interact with one another and share ideas. 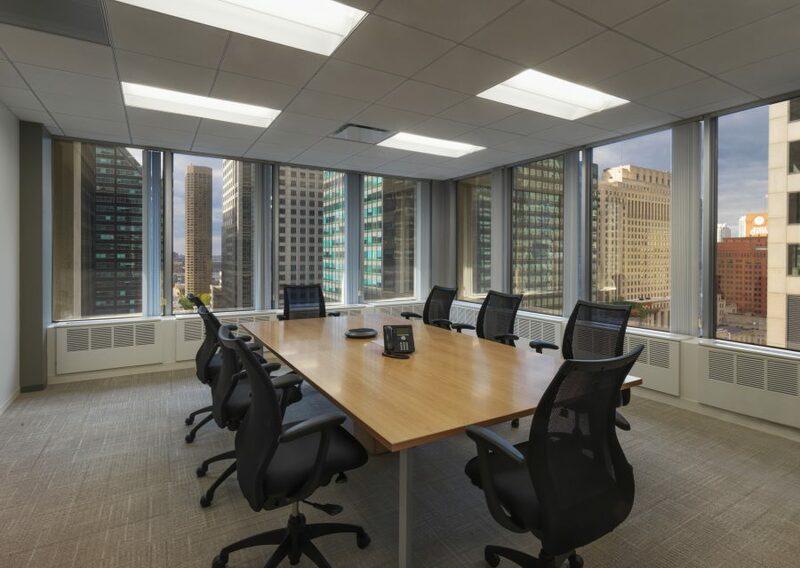 The high-tech AV equipment installed in each board room allows Chicago employees to connect with other offices and clients worldwide.